HASTAC scholar and UNC medievalist Rebecca P. Shores and I have been theorizing mapping literature. Rebecca has started doing this practically, and blogging about it on HASTAC. 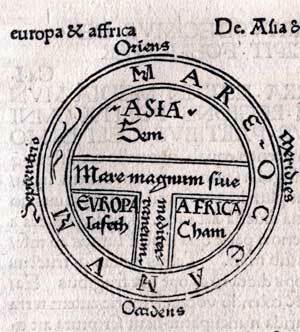 I offer a response to her mapping of the medieval English chronicles' geography. (3) the historical geography 1846-50, when that fiction was composed and first read. Should the aesthetics of our cartography be pseudo-historical or contemporary? I wonder because part of the magic of maps is their aesthetics. There's something sad about the emptying-out of cartography after the early modern era. The disappearance not only of the prodigious monsters at the periphery and decorative caravels breaking up the monotony of oceans and seas, but the loss of COLOR. So should we ask, are we just showing the GEOGRAPHY of our texts' chronotropes, or their CARTOGRAPHY as well? 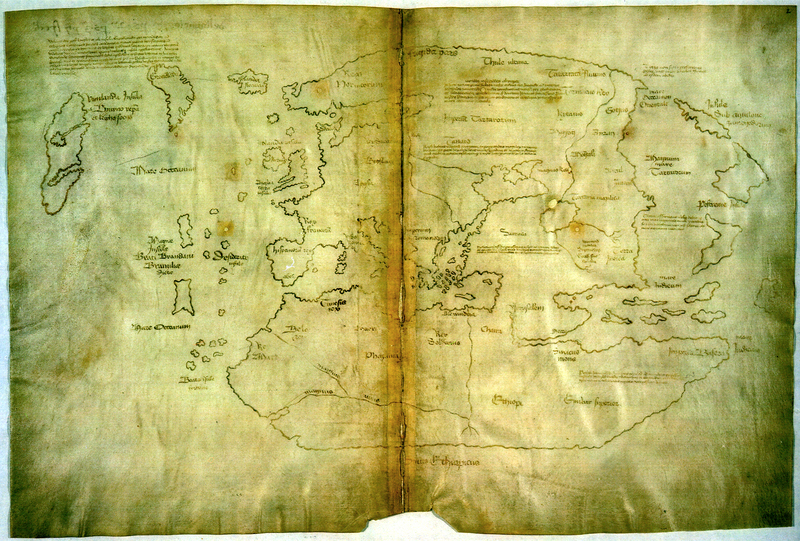 That this question matters might be suggested by the (in)famous "Vinland Map" a (probable? apparent?) Nazi-era forgery, that Paul Mellon was persuaded to purchase and give to Yale. It's been pointed out that the Vinland map looks impossible because the Vikings used written navigational instructions but not graphical maps per se. There's plenty more fascinating scholarship on the Vinland Map controversy in the journal Terrae Incognitae, published by the Society for the History of Discoveries. This leads me to an important question: what kind of cartography is necessary for geographies that we know are pseudohistoric? Like the geography of Sweeney Todd's corporate activities as depicted in Victorian literature? Do we want digital supplemental maps to superimpose past landmarks, distances, and boundaries, on images of the present-day world (the result of using Google maps), allowing audiences to juxtapose different chronotropes and see the constructedness of our cartography? Or do we want to make our resource illusionistic and hence immersive - a game to be played, a world to be entered that demands suspension of disbelief just as do some of the past's narrative texts, chronicles and penny dreadfuls included? 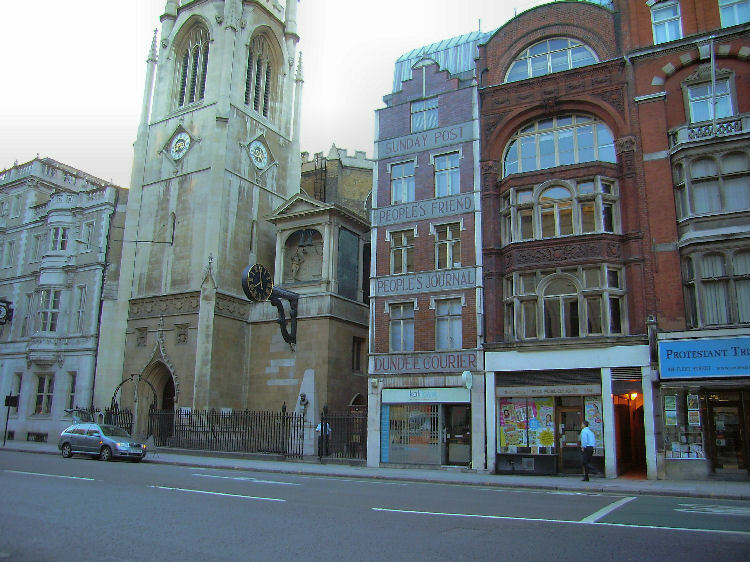 After all, part of the enduring appeal of the Sweeney Todd legend, as folklorist Robert Mack has documented (2007), is that the early texts' use of London landmarks make it a story fundamentally associated with, and definitive of, that city. You can see the results of that online, where crazy people continue to locate the premises of the demon barber and his corporate partner, Mistress Lovett, in photos. So what kind of INTERFACE does cartography of the counterfactual require? Ones that immerse readers in persuasive fictional worlds? Or ones that radically resist doing that? Or some combination, like this? Have you heard about this book? Seems particularly relevant to our project/brainstorms. I haven't heard about it but will try to read it before our mtg tomorrow. thanks! On that note, have you read John Gillies's SHAKESPEARE AND THE GEOGRAPHY OF DIFFERENCE? Interesting work on fantasy geographies & defining home in terms of away and vice versa.